A bright red cart overflowing with items both varied and unimportant — a cornucopia of consumerism — rounds into an aisle being pushed by a 30-something, suburban woman. Trudging slowly behind her is a defeated and exhausted 30-something man. The look on the woman’s face is that of both concentration and concern as she enters the third of seven home goods aisles. What do we need? What do we need? The answer to her question is, “Nothing,” but she doesn’t realize it. She’s in too deep. Of the three dozen items already put into their cart, the couple needed exactly four of them. The rest of it — the scented candles, the new dish towels, the bathroom soap dispenser, the small minimalist metal sculpture of a rabbit — were nonsense. More unnecessary and egregious than super-sizing a meal that’s already 3,000 calories, or starting an Instagram account for your baby. The man continues to trudge behind. Each step, each aisle, takes a little more life out of him. The woman stops the cart. Something has caught her eye. She stares at an 8-inch by 6-inch wooden picture frame and considers it, with her forefinger across her chin and her thumb under it, as if the frame were a piece of art she was attempting to interpret. The man closes his eyes to brace himself for what he knows is coming. The woman continues to ponder intensely in the face of inevitability. The man breathes slowly and deeply. “We need this,” the woman finally says. The man exhales and prepares himself for an all too familiar dance. The man sighs and looks back at the full shopping cart. “Okay, well, you did. But I knew we’d need other things,” the woman insists. The man points to a kitchen appliance aisle across from them. The man runs over to the aisle and snatches it off the shelf. On his way back to the cart he also grabs a marinating brush and a waffle iron. All told the couple would on to spend $386 that day. Is that the sort of experience you have regularly at Target? You walk in on a mission, in need of just a few things, and walk out with an entire new set of home furnishings, groceries, and mid-quality luxury items that combined to cost roughly as much as your mortgage payment? You’re not alone. It’s called the “Target Effect” and it actually has its own actual definition. That’s just what Target does to people, according to a psychologist recently interviewed by Refinery 29. Dr. Kevin Chapman notes that a big reason why Target does such an excellent job at tricking people into spending three times as much as they meant to is that they’ve long been known to hire the best design experts. “You have good people in the marketing department at Target, and they have really good designers who have created such an ambient atmosphere for people. It’s really well lit at Target, right? There’s a lot of color at Target. It’s pretty consistent throughout the store and generally that’s going to make people feel happier,” he says. It helps, too, that Target is also effective at other forms of subtle consumer manipulation. Stores like Target have loads of data on the sorts of things their customers buy together, so they understand what products to put near each other, and where to put them in the store. Chances are your path to the thing you need will be littered with other things that might be related to that product. That and Target, like many other stores, practices manipulative pricing. No, they aren’t lying about how much something costs, they just price it, for example, $19.99 instead of $20.00 because our dumb brains somehow find the former price — or any price with a nine at the end — more appealing than the latter price. 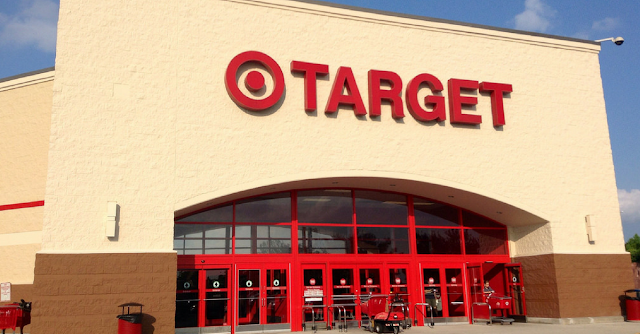 So you want to know why we really spend so much money at Target? We’re suckers. All of us.